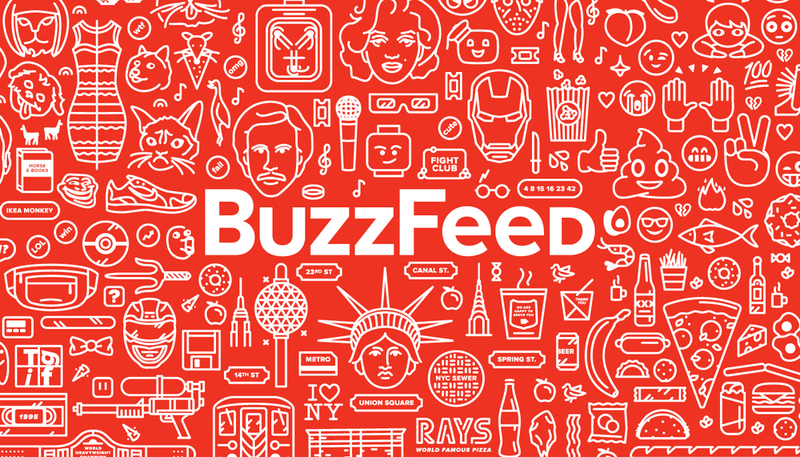 One of the first things I found out upon being hired at BuzzFeed was that we were going to be moving into a brand new office in February of 2016. Global facilities director, Gabrielle Rubin, sought out the help of the newly formed brand team to create unique graphics for the sizable interior. After much exploration and polling the employees of the NYC office, we came up with unique themes, names, colors as well as a custom numbering system for the new 6 floor office. Smaller offices and meeting rooms received a themed pattern that was densely packed near the floor and dissipated as it got closer to the ceiling. These rooms also received names related to their themes. Across all floors, the larger conference rooms received a giant splash of translucent color and names based on internet acronyms - LOL.